PLEASE EMAIL MUSIKMIDLAND@GMAIL.COM if you have any questions. 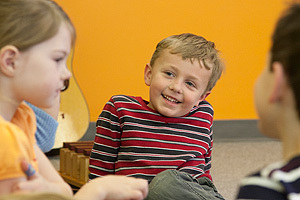 Welcome to Musikgarten at St. Luke's United Methodist Church! 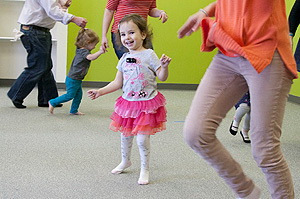 The Musikgarten classes offered at St. Luke's are designed to nurture the child’s music aptitude by engaging children and their families in singing and movement activities which help attune the ear, refine the voice, and develop a rhythmic body through which music can be expressed. Additionally, instrumental activities are part of the program, including playing simple rhythm instruments such as sticks and drums for babies, toddlers and preschoolers. Musikgarten is the only program that offers curricula that specifically meet the developmental needs of newborns and infants. It is based on a keen understanding of how children learn, in both a general sense and, specifically, how they learn music. 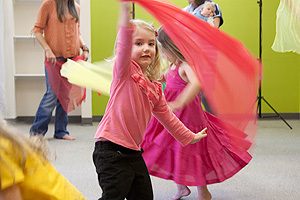 Scholarships and payment plans are available for families who need help paying for Musikgarten. Email us at musikmidland@gmail.com for more information. All requests will be kept confidential. © 2019 MUSIKGARTEN:: St. Luke's United Methodist Church - Midland, Texas All Rights Reserved.